Here comes the third part of “Criteria under Form 7004-Automatic 6-Month Tax Extension” next to Form 7004 tax extension part-1 and Form 7004 tax extension part-2. Again, all these Income tax returns listed under this part has to be filed before March’15, 2013. This extension is valid for 6 months. U.S. Income Tax Return for Regulated Investment Companies: If you are managing a regulated investment company, you have to file income tax return through Form 1120-RIC. If you are in need file an extension, file Form 7004 before March’15, 2013. U.S. Income Tax Return for an S Corporation: If you owe to file Form 1120S and if you expecting for extending filing time, file Form 7004 before March’15, 2013. U.S Income Tax Return for settlement Funds: If you are required to file Form 1120-SF taxes under 468B, you can go for an extension request before March’15 2013. Annual Information Return of Foreign Trust with a U.S owner:If you are liable for Annual Information Return of Foreign Trust with a U.S owner via Form 3520-A, file Form 7004 to get automatic 6 month extension. The deadline is March’15. Return of Excise Tax on Undistributed Income: If you are liable for excise tax return on Real Estate Investment Trust’s undistributed income via Form 8612, file Form 7004 for automatic extension. The last day to file this extension is March’15. Return of Excise Tax on Undistributed Income: : If you are liable for excise tax return on regulated investment company’s undistributed income via Form 8613, file Form 7004 for automatic 6 month extension before March’15th of this year. Check Delight in extension without filing any form for more information on this. 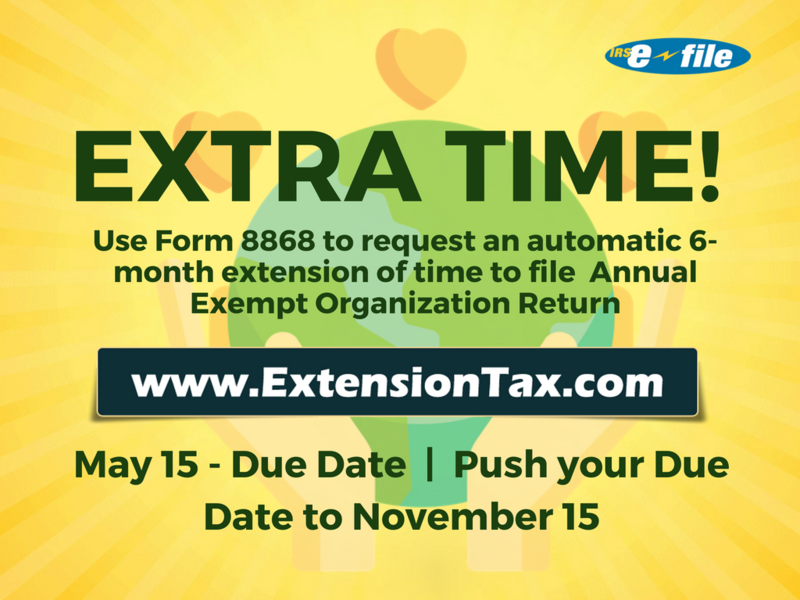 You can e-file an extension immediately at extensiontax.Call our toll-free number 1-866-245-391 at for any queries, no matter when. Happy e-filing! This entry was posted in Efile 7004, Efile Extension, efile income tax extension, efiling Easy Extension, Extension Tax, Tax Extension and tagged automatic 6 month extension, file Form 7004, Form 1120, Form 1120-s, Form 7004 Online, Tax Return for an S Corporation, Tax Return for Regulated Investment Companies on March 4, 2013 by TaxExpert.